Crossroads Blues Festival: Lurrie Bell to Healdine 8/23 at Lyran Park! Lurrie Bell to Healdine 8/23 at Lyran Park! The great Lurrie Bell will headline this year's fest at Lyran Park on Saturday, August 23rd. His set begins at 8 PM. 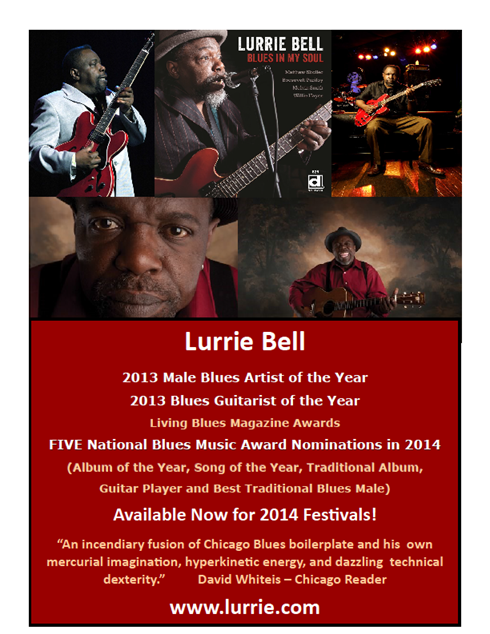 Lurrie received the 2014 Blues Music Award for Song of the Year for "Blues In My Soul" !! !